The River Lookout is unlike anything available to rent on the Gulf Coast. 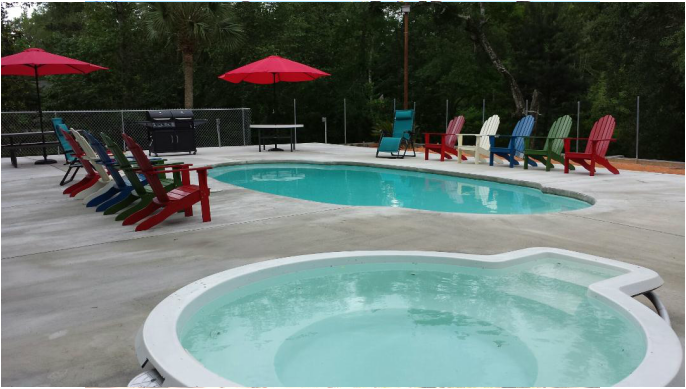 This river front, offers a private beach, private pool and if you choose a heated hot tub. 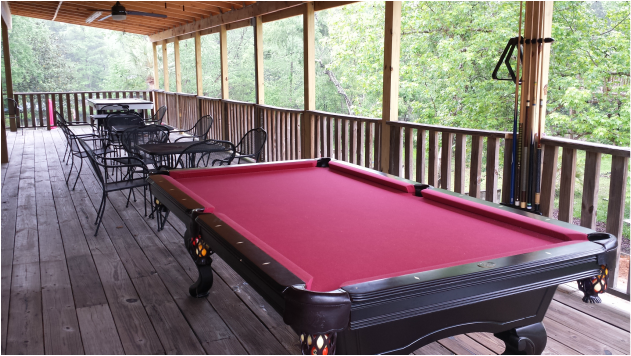 The deck right off the house is covered with a billiards table. This house is a destination vacation on to itself. The River Lookout offers 2 king size beds, 1 queen size bed, and 4 full size beds (configured as 2 full over full bunk beds). These beds will sleep 12 people. In addition, we have 2 folding beds, allowing the house to sleep 14 people or for up to 9 people to each have their own bed. Some groups with children under 12 years of age, wish to push the count a bit higher... we will also allow 2 to sleep on each of the sofas, but they are best suited for pre-teens. There is Plenty of Parking and tranquil surroundings offer a Retreat like atmosphere. Whether you need more Room than the Great Escape River House provides (sleeps up to 27 people) or less, consider a stay at the River Lookout! ​Also booking, the Great Escape River Lookout. River Lookout, can accommodate up to 12, 14 with the 2 folding beds, and 16 if you've got some little tykes you don't mind putting on the sofas. The River Lookout is South of the Great Escape River House, within easy distance, but not visible from the Great Escape River House. There is an adjacent property that acts as a buffer. Click here: River Lookout, to see the River Lookout's website. River Lookout also has an in-ground swimming pool & in-ground Hot Tub. For us locals, the River will always be the best swimming hole. It just keeps getting better at the Great Escape River Properties!